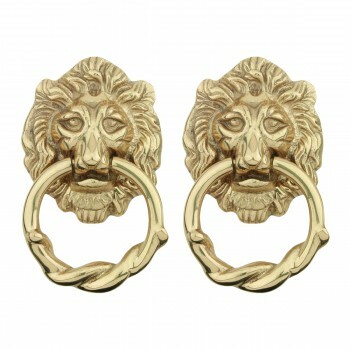 (2) pieces Lion Door Knocker. Knock, knock! Once a sign of their homeowner’s profession, doorknockers now come in a variety of designs & finishes for everyone’s style. Step-up your curb appeal & add value to your home with finishing touches like a knocker. 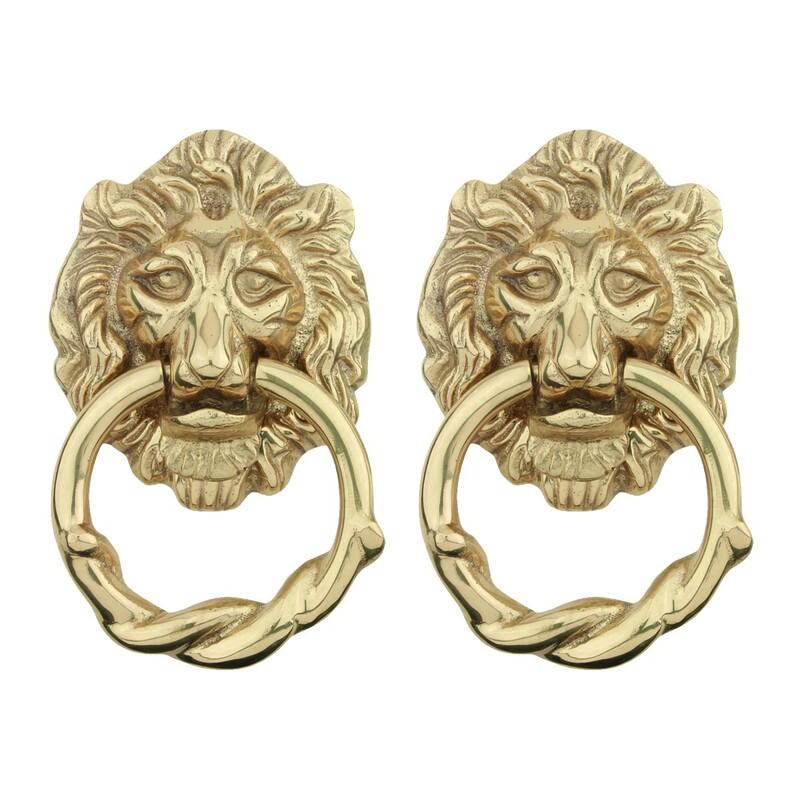 Made of 100% solid brass these knockers are a knock out! 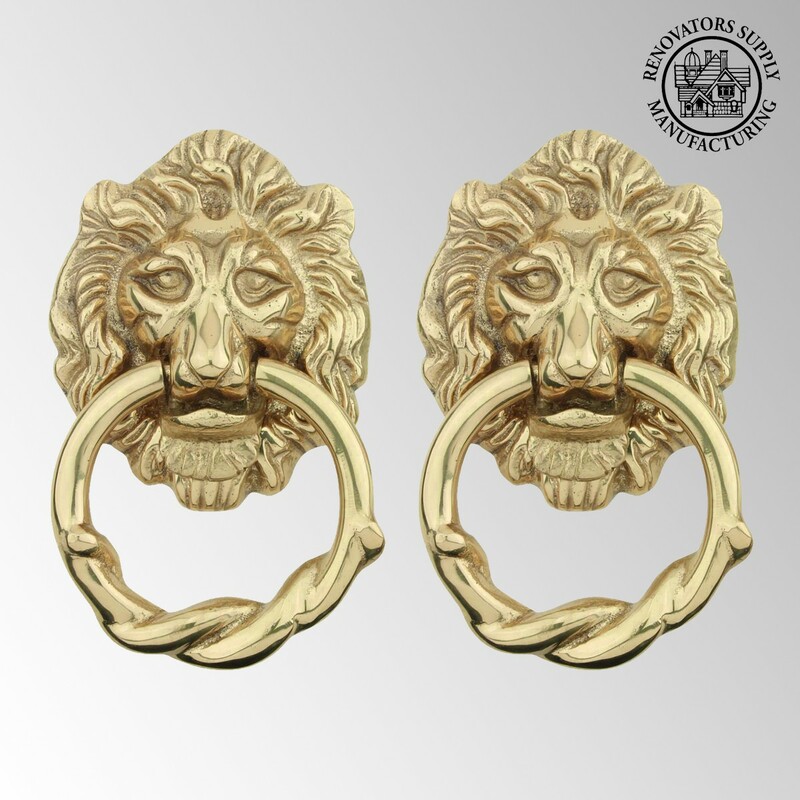 Polished & lacquered to prevent tarnishing this knocker is both beautiful & functional. Easy installation, thread bolts through the door for secure mounting. Measures 6 1/4 in. H x 3 5/8 in. W.